This month David Robinson examines acclaimed poet Polly Clark’s debut novel Larchfield. The dual narrative follows W H Auden and Dora Fielding who arrive in Helensburgh decades apart, but are united in their struggle to assimilate within the quietly sinister echelons of polite society. A gripping and ambitious take on the interplay between isolation, creativity, and self-destruction, David also finds Larchfield valuable in highlighting a lesser-known period in W H Auden’s life. I saw Auden once. He had only months to live and was sitting in an Oxford café looking out of the window with a bored expression; I was on my way to an interview at a college around the corner, an 18-year-old bundle of nerves and expectations. That’s all it was: a wordless glance through a café window before he went back to his coffee and newspaper. Though fictional, the Auden that Polly Clark gives us in her wonderful debut novel Larchfield, is far more vividly realistic than my own briefest of brief encounters with him. The Auden it introduces us to is not much older than I was back then; it’s 1930, he has finished Oxford, and has just taken a teaching job at Larchfield, a prep school in Helensburgh. And though we are taken completely into his life in this repressive, bourgeois redoubt – “the Wimbledon of the north” according to Cecil Day-Lewis, his friend and predecessor at the school – we only enter it through the mind of another poet. 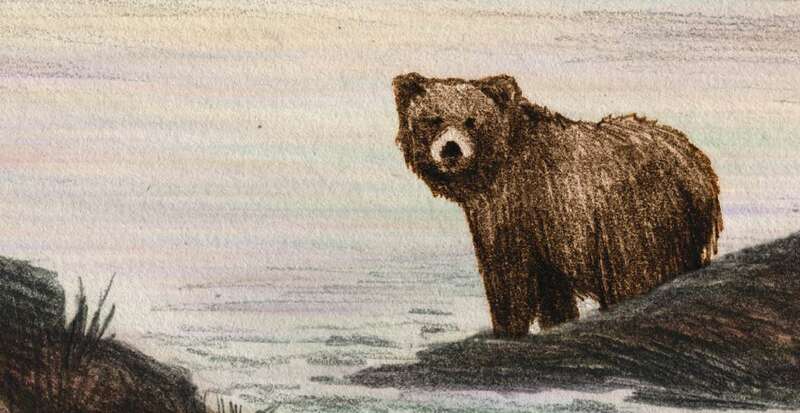 Dora Fielding – also English, also from Oxford, also isolated – has moved there nearly 80 years later, and the point about Dora’s mind is that she fears that she is losing it. Post-natal depression and neighbours from hell are pushing her further towards the brink. Finding out more about Wystan seems to be the only thing that can save her. So we follow him into the closed, cruel worlds of the boarding school and Helensburgh polite society (“You seem awfully nice in person” Wystan is told at one party, “and I’m sure your next book will be much better”). There are moments of escape, and we follow him there too – to brief holidays with his Christopher Isherwood where he makes the most of the soon-to-vanish freedom of Berlin’s gay clubs, and into a love affair with a working-class lad back in Scotland. 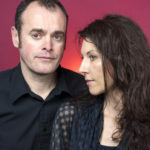 And, of course, into poetry, although not quite as much as you would think considering that this is a book about two poets and written by a poet as well (Clark has three collections of poetry to her name and has been shortlisted for the TS Eliot Prize). The story-telling is layered, clever, captivating. But half-way through, Clark takes a huge risk with her parallel plots. She merges them. Dora wanders into Wystan’s world and the novel starts performing its magic. There’s the sheer wonder of turning back time when those worlds join; when they threaten to split, you can almost feel the cold wind of reality rushing in again, like those scenes in films (and possibly real life: you tell me) when people who are drunk or on drugs are suddenly drawn back into stone-cold sobering reality. And so the madness leaks, time spills, and readers no longer know for certain which decade they are actually in, only that everything is impeccably drawn, far more believable than it ought to be. To me, it’s like being able to go into an Oxford café, decades later, and sit opposite a bored-looking genius poet, and know – if not quite everything about him – at least enough to know the answers to many of my questions. No-one else, I reckon, could have written such a fine novel about Auden’s time in Helensburgh. And after Larchfield, I don’t think anyone else will even dare to try. 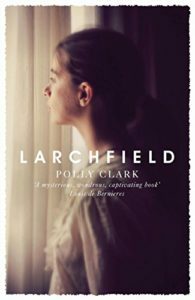 Larchfield by Polly Clark is published on 23 March by riverrun priced £14.99.